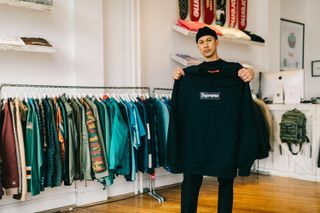 Tucked on the corner of Cypress and Boylston street in Brookline, Massachusetts sits SizeRun Supply, a resale storefront run by founder and owner Rod Rosales that specializes in all things Supreme. Moving from California to the Boston suburb, Rosales opted to leave his corporate world behind to pursue his passion of owning and operating his own store. Neighboring an antique restoration shop, as well as a Tai Chi studio, SizeRun somehow makes it work on their eclectic corner of the quiet Brookline suburb. Located just behind the Brookline Hills subway station, SizeRun is easily accessible for those coming from downtown Boston or into the city from other suburbs. “My product is so unique that people will park anywhere they can or take a train from wherever they’re coming from to come to this location. It’s rad, and thankfully people don’t complain,” explained Rosales. 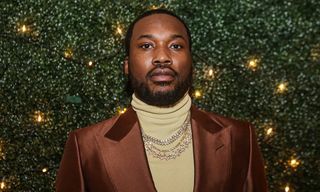 Since opening nearly three years ago, Rosales has made a mark for himself by styling hip-hop stars like Playboi Carti and MadeinTYO, both of whom he considers friends before clients. 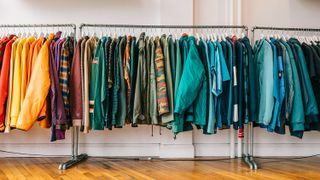 Stocking its shelves with both the rarest and latest Supreme pieces, alongside the New York brand, shop goers can also find items from others like Gosha Rubchinskiy, Bianca Chandon, and even London-based brand, Palace. With a website in the works, SizeRun has a growing community on Instagram of over 16,000 followers. 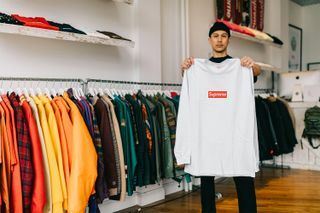 The shop’s feed is littered with everything Supreme, including monogramed skateboards, box logo T-shirts and rare sweaters released long before many of the shop’s customers were even born. 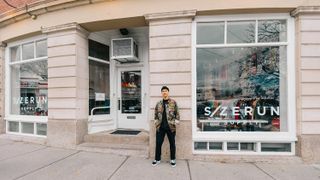 While Rosales is the only staff member at SizeRun, he surrounds himself with local youth, acknowledging they understand fashion trends unlike anyone else. The shop has an overall relaxed vibe. Walking into the store, Nas’s Illmatic plays in the background and a few local high schoolers sit behind the counter as Rosales appeared from the store’s storage. 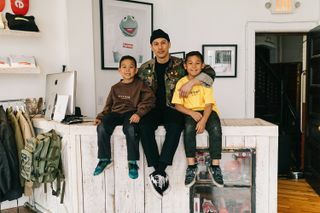 Dressed in all-black and joined by his two sons and wife, we had the chance to talk with Rosales about SizeRun’s early beginnings, his connection with high-profile clients, and what he thinks about the current resell market. What’s the story behind SizeRun Supply, how did it get started? Rod Rosales: SizeRun Supply’s been going on for about two years, going on three. I wanted to open up a store and a business, so we moved from California to Massachusetts — and I didn’t really feel like doing a full time nine to five gig. So, I thought, ‘You know what, maybe it’s time to choose a career doing something for myself.’ Life is short, why not just go for it and take a plunge? At first, people were just looking here and saying ‘What is this place?’ It’s crazy because I would have never of thought about opening a store here in Brookline. It would be much easier to open a store like this in downtown Boston. Why Brookline? RR: I wanted to do something different and just pull away from the city a little bit. Well, first of all, you know in the city, obviously rent’s a little high. It’s crazy. For some reason, my gut and my instinct told me this was the right location for it. My product is so unique that people will park anywhere they can or take a train from wherever they’re coming from to come to this location. It’s rad, and thankfully people don’t complain. How how the store evolved since you opened three years ago? RR: It’s amazing, I’ve seen all these people come through, and I have a couple of friends who I’ve made since the day I opened. I’ve seen kids, whether they’re like sophomores or juniors to graduates from high school or college now, and it’s just crazy to see them evolve and change – and see the consumer change. I was worried at one point because I was selling footwear more than I was selling apparel. 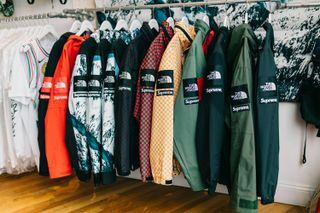 It’s obvious you’ve got a connection to streetwear, but what initially got you into it? RR: I’m old, so, I grew up in the birth of streetwear. My first pair of shoes were a pair of Air Jordan 1s back in ’85, black and reds that were handed down to my cousin. 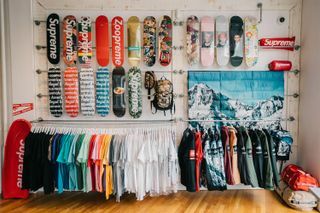 I’ve always been intrigued by fashion and streetwear, but also I would ride with my dad down to Santa Monica and hang out at this one skate shop, and that’s when I was introduced to brands like Stussy and all these other skateboarding brands — and I was intrigued by it. 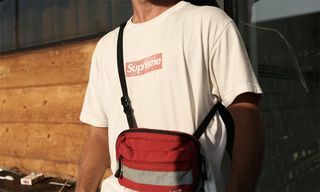 What specifically got you into Supreme? RR: It was all New York. I was very influenced by New York and the hip-hop scene and the graffiti world, and I always tried to stay as in tune as possible with what’s happening over there even though I’ve never visited in my entire life — until almost like 10 years ago. So, seeing that world and Supreme grow, it just made sense. They dictate what’s cool and what isn’t cool. I don’t know how they put it together, but they just have a really good way of making their product. The quality of their product is really solid. People are really sleeping on their Comme des Garcons line, which they shouldn’t. Their Comme des Garcons line is amazing. Which pieces stand out to you most from past seasons?  RR: The monogram deck set is one I like, something that stays really close to me. I’ve seen that thing in many variations. I’m not really sure who the art director was, but I believe it could have been Mike Futura that actually did that graphic, and I’m a huge fan of Futura. 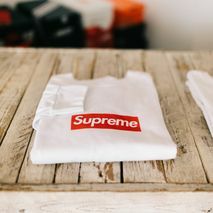 My Futura box logo tees are probably some of my personal favorites for sure. RR: Currently I work with a very small but very solid, impactful group like Pierre [Bourne], [Playboi] Carti. Ian Connor is one of them, Tokyo [MadeinTYO], and other musicians and athletes. Those people have been very supportive and very influential, especially Pierre. Pierre is probably one of the coolest cats you’ll ever meet. Carti’s probably one of the most humble dudes, as wild as he is, he’s a very super supportive guy, he loves the shop, loves my kids. We’ve stayed really close not just from a business perspective, but also from a friendship perspective. He’ll hit me up and contact me every once in a while and ask me what I have or he’ll say ‘Hey, I’m in town’ or ‘Hey, I’m in New York. Can you come on down with some pieces?’ And we’ll just hang out, and who knows who’ll be down there. What’s your mindset when you go into these meetings with this type of clientele? RR: Primarily, I go in just feeling it out and seeing how they are. I don’t push any product on them. Just like being here in the store, I have all these amazing goods, but it really comes down to what’s best for you. I don’t push anything, so, as they start putting things on or as they start seeing my products, then I start getting an idea of where they’re going to be and what scene they’re going to be in. 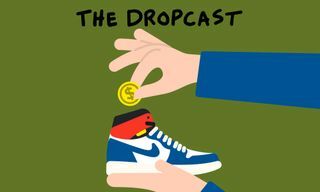 How do you feel about websites like Grailed and StockX? Has it made it more difficult for SizeRun to find success? RR: The shop has been pretty solid, I think. When customers come to the shop, they come in, they see the items. But it’s not a very exclusive place to be, it’s very inclusive and everybody’s welcome. We have conversations about products. 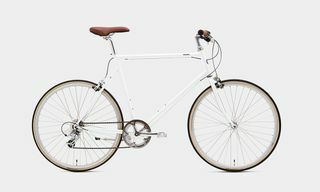 We talk about it, like ‘Oh well, Grailed has this for this price point.’ Or, ‘StockX has this for this price point.’ I’m like, well, here it is. This is what’s happening. You know, I wouldn’t say like a take it or leave it kind of thing. But, I would say, this is what keeps the shop going. How would you describe the local SizeRun community? RR: Everybody that hangs out in the shop are just people that are very supportive of the shop, who are just down for the shop. It’s almost kind of a good thing and a bad thing. But, you know, people come here to always look for me on a constant basis, and have conversations, talk about product or do authentication, because not everybody gets to do that. So I get to do that in person. But I’m very inclusive. I don’t judge anybody that comes through this door. I’m very open to everything. What’s your goal for SizeRun Supply in the next five years? RR: Seeing SizeRun in five years, it’s really about building the brand. In the short time, we’ve built a lot already, a lot of momentum. A lot of momentum within the two years, going on three. And the relationships that I’ve built, it’s just a matter of taking those elements and moving it forward. Obviously, my web store will be open soon. We’re working on that currently. 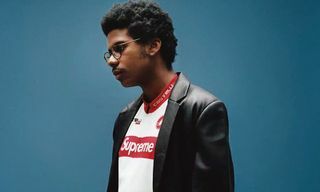 For a complete break down of Supreme’s history make sure you read our Supreme Family Tree story, an expansive infographic detailing the brand’s progeny.